The LEF supports the district's ongoing efforts to be responsive to the significant diversity of our school community as they continually review programs, activities and curricula. Classroom libraries for pre-kindergarten through twelfth grade students across the district now have a selection of books that feature characters and story lines that reflect the cultures of students of color. The purchase of loaner instruments for the district ensures that all interested students can join the band or orchestra, regardless of family circumstances. "Laptops for Learning" provides students with financial need the opportunity to check out laptops and wifi hotspots for an extended period so they can access curriculum from home, and parents can better support their students' school success. In addition to donating toward the renovation of LHWHS in honor of their 50th reunion, members of the Ladue Horton Watkins High School Class of 1966 raised funds to provide laptop computers to Patrick Henry Downtown Academy in the St. Louis Public School District. The LEF applauds the decision of this LHWHS class to broaden the scope of our efforts beyond the Ladue School District’s boundaries. The Wells Fargo grant helps to ensure that students, grades 4–12, who wish to rent a musical instrument to participate in the music program, can do so regardless of their families’ financial circumstances. Books collected and purchased help create home libraries for low-income families at the LECC, improving literacy in multiple communities, including those where English is not the primary language. In addition, meetings are arranged, with interpreters if necessary, to discuss the importance of reading at home. The goal is to improve literacy. A REMO World Drumming 16-Piece Tubano Package was purchased and can be shared by the elementary schools to provide opportunities to participate in multicultural music experiences while improvising and composing with rhythms. For students without access to computers at home, the LEF provides funding so these students can take home a device that allows them to complete and submit homework, do Internet research, check teachers' websites and much more. The LEF hopes to expand this program to more students in similar situations. Headed by retired LHWHS social students teacher Rob Good, this pilot program provided academic, social and college exploration support to African-American sophomores. This program evolved into the current UJIMA/RISE program. Reed Elementary School and Patrick Henry Elementary School partnered from 2007-2010 to bring student groups together to promote community-building and mutual understanding with character education, music and outdoor learning. For more information & resources provided by the district visit the Diversity, Equity, & Inclusion page of the district's website. All parents, but particularly those of color, are invited to C.U.R.E. meetings. C.U.R.E. stands for Community Understanding Respect Education and meets several times during the school year, along with district teachers and administrators, to discuss issues of particular interest to our minority families and students. To get notifications of C.U.R.E. 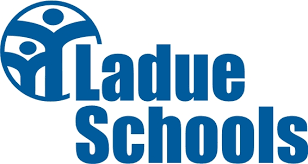 meetings, please email input@ladueschools.net. The Ladue School District and the LEF are fortunate to have other organizations in the community dedicated to supporting Diversity, Equity and Inclusion issues, as well. LadueCARES: Ladue Change Agents for Racial Equity: We gather to candidly discuss and examine racial equity in our community. Together we are stronger in our efforts toward social justice! Please email laduecares@gmail.com to receive updates about upcoming meetings and events.